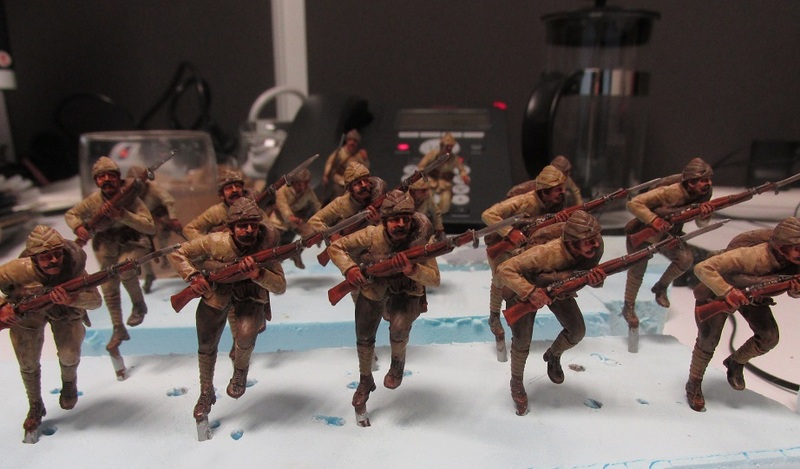 Previous PostANZAC Diorama – Progress on my first figuresNext PostTen Anzacs finished. Quite pleased with them. 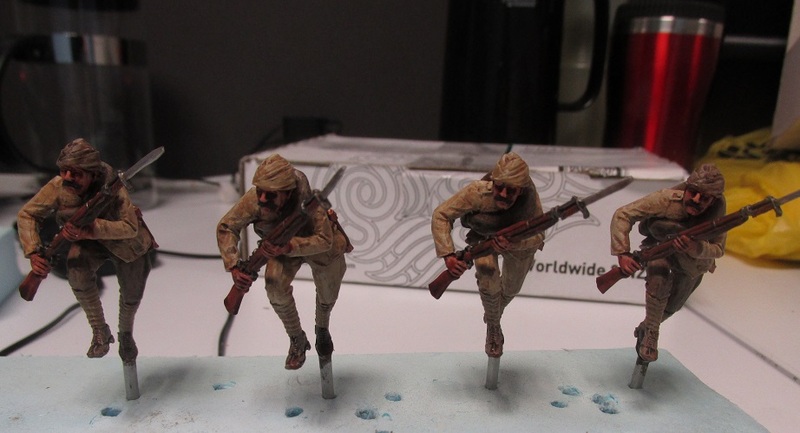 Looking forward to getting the next lot done. These are terrific! 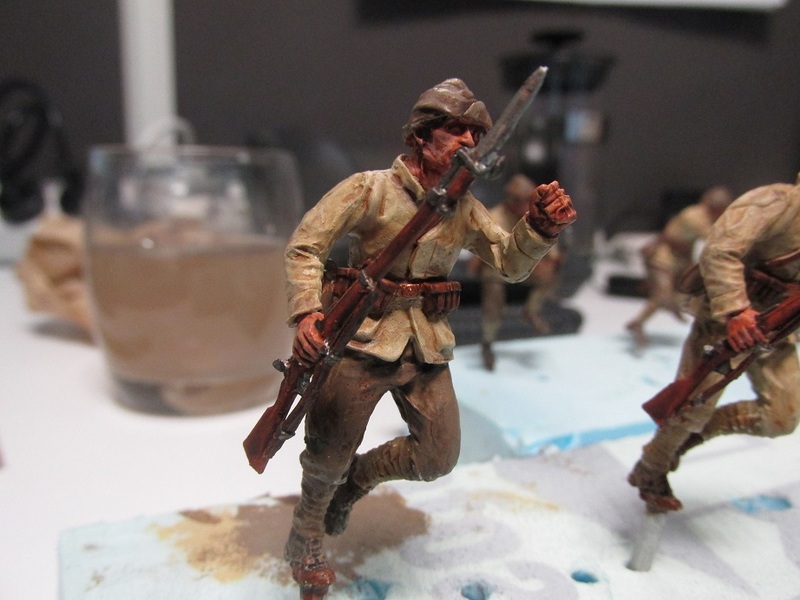 Great motion in the figures, themselves and good brushwork on your part. Who makes the figures? 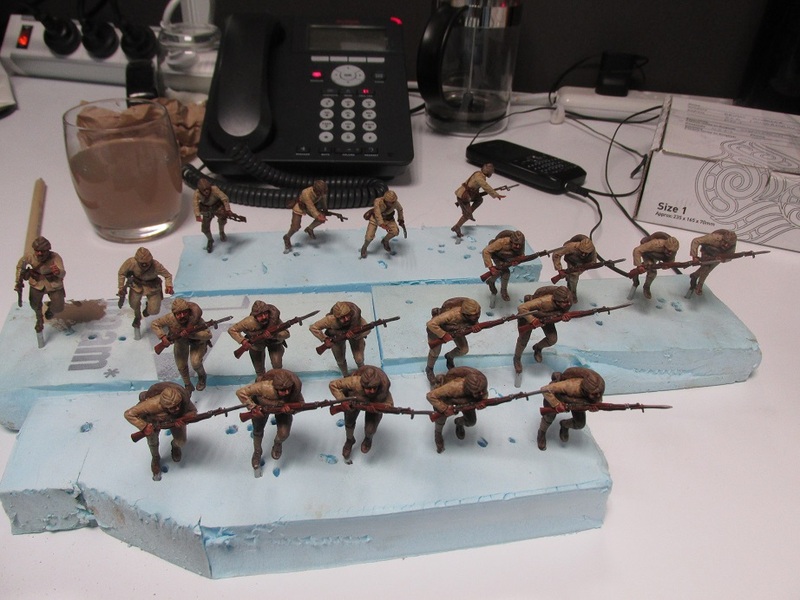 They are special commissions by the Perry’s paid for by Peter Jackson for our ANZAC diorama project for our Great War Exhibition. 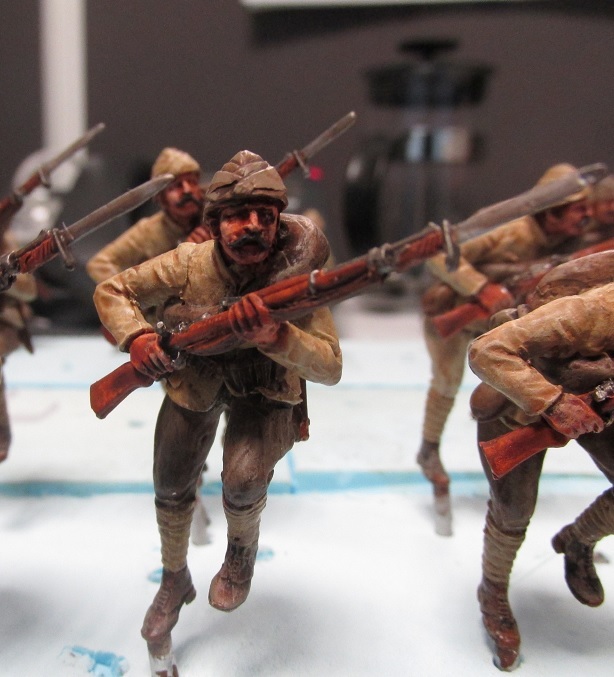 Very nice Brian – lovely looking figures. Very very nice paintwork Brian!